Phew. I needed to take a small break from our awesome Thunder Road Guitars / Bass Shop Seattle give away, before I announce the next one. It’s been a whirlwind of give aways over the last few months. 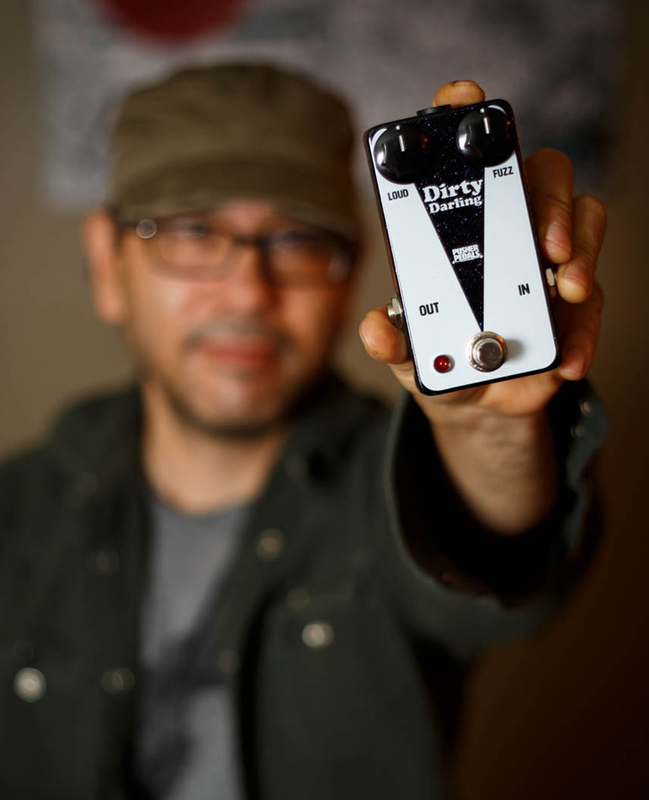 But now we’re ready to announce the Pusher Pedals Dirty Darling Give Away! A couple of weeks ago, I had the chance to take the Pusher Pedals Dirty Darling fuzz out for a little test drive, and I was quite impressed with this little fuzz. As you’d expect from a fuzz, simple is often the best way to go . Loud and Fuzz are the two controls – so it’s easy to wrap your head around this. Steven, the owner/operator of Pusher Pedals, dialed this guy in. Sometimes with fuzzes like this, there are zones of unusability (which I need to be careful here.. sometimes that is the magic sauce and I get it). My first reaction with this fuzz – everything is usable here. Which was nice. I liked it cranked. I liked it with a little fuzz, etc. It sounded great with a clean amp, and it sounded great with a dirty amp! So it’s time to give this great fuzz pedal away to you.. a lucky Effects Bay reader out there! I’m going to pick a random entry on December 30th. I will email that random entry asking for the answer to the question listed below. You will have 24 hours to respond with the answer. If the 24 hours passes and I don’t hear from that finalist, I will select a new random entry and repeat the process until I receive confirmation from the winner. This is open to everyone. Yes, that means international! Also, one entry per person. Please read that last sentence again… “one” “entry” “per” “person”. The submission form will be open until December 30th (Tue) 2PM MST.